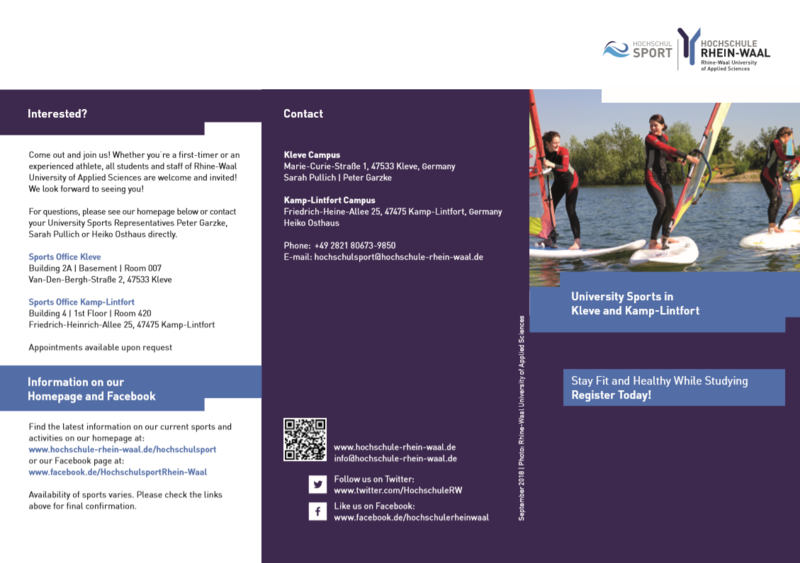 Rhine-Waal University Sports is a service department offering a range of sport and athletic courses to students and staff of Rhine-Waal University of Applied Sciences. We offer more some 50 courses led by knowledgeable, experienced and motivating instructors. 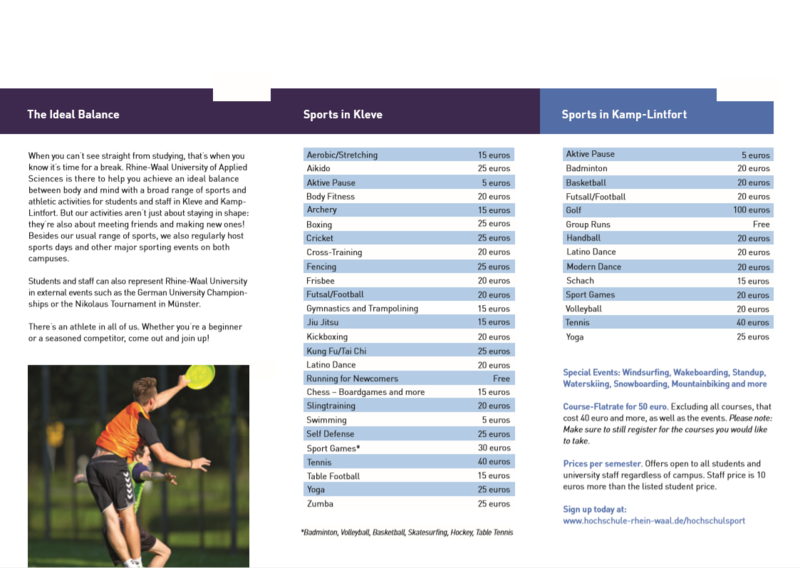 No matter the sport, we have something for everyone!